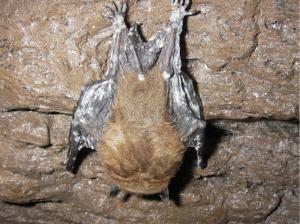 The Canadian Wildlife Federation is pleased by the announcement that three bat species (the Little Brown Myotis, the Northern Myotis and the Tri-coloured Bat) will now be listed under the Species at Risk Act (SARA), providing the bats and their habitats with legal protection on Federal lands and requiring that a recovery strategy be put in place within one year. In 2013, CWF urged the government to list the little brown bat and two other bat species under the Species at Risk Act (SARA) with a nationwide petition. Listing these bats would provide protection and initiate a process to develop a much-needed strategy to address the immediate threats of white nose syndrome on these populations. Over 2,000 supporters joined CWF to press the government to list the bats under SARA before these mammals disappear.